Four faculty members join the Department of Art History and Department of English Language and Literature. Seth Estrin, Assistant Professor in Art History, studies ancient Greek visual culture. He is particularly interested in how the art of Archaic and Classical Greece was used to convey emotion, prompting responses that helped individuals interpret their place within the broader culture. He examined this topic in “Cold Comfort: Empathy and Memory in an Archaic Funerary Monument from Akraiphia” (Classical Antiquity, 2016) as well as in his dissertation, “Objects of Pity: Art and Emotion in Archaic and Classical Greece.” He also contributed an essay, “Living Surfaces: The Materiality of Minoan Wall Painting” to the collection Beyond Iconography: Materials, Methods and Meaning in Ancient Painting (2015), published by the Archaeological Institute of America. He joins the University following a three-year appointment as a Paul Mellon Fellow at the Center for Advanced Study in the Visual Arts at the National Gallery of Art in Washington. Estrin’s research reflects extended periods of study in Athens and Rome, as well as his participation in field projects in Greece and elsewhere. In addition to teaching Berkeley undergraduates while completing his doctorate, he also served as a writing tutor for inmates at California’s San Quentin State Prison, where he co-taught History of Western Art and Introduction to Ancient History. He holds several degrees in classical archaeology: an MA and PhD from the University of California, Berkeley and a Master of Studies from Merton College at the University of Oxford. His BA, in classics and art history, is from the University of Toronto, where he received several awards for exceptional scholarship. 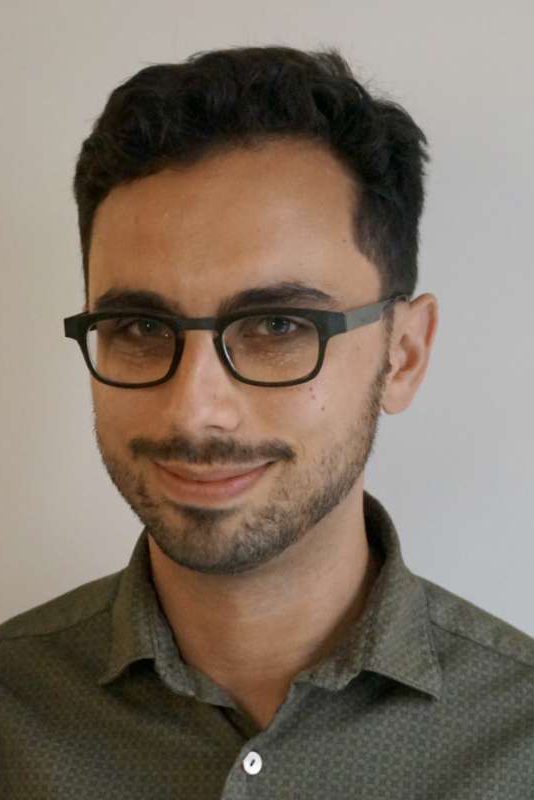 As a graduate student he was awarded a Berkeley-Mellon Fellowship and an International Dissertation Research Fellowship from the Social Science Research Council. Associate Professor Ellen MacKay joins the Department of English Language and Literature after 14 years at Indiana University. There, she was director of the Institute for the Digital Arts and Humanities and resident dramaturg and director of educational outreach for Cardinal Stage Company, and a two-time recipient of IU’s Trustees Teaching Award. A scholar of Renaissance drama and literature as well as theatrical performance from Classical Greece through the present, she is the author of Persecution, Plague, and Fire: Fugitive Histories of the Stage in Early Modern England (University of Chicago Press, 2011), which discusses how the “dangerous” elements of theater, including pyrotechnics and gunfire, were used to query the distinction between reality and performance. Her next projects address the idea of the audience in early modern England, and Shakespeare and the invention of cultural heritage that happens in the absence of museum objects. She is also the editor of Routledge Handbook to Digital Literary Studies of the Renaissance (forthcoming, 2017) and has published more than a dozen journal articles. Her digital interests derive from a parallel line of inquiry on the sense of the past made newly accessible by electronic remediation. She oversaw Luminary’s iPad edition of Shakespeare’s A Midsummer Night’s Dream (launched in 2013) and contributed to its iPad version of The Tempest (2012). She is the senior scholar for the NEH’s Teaching Shakespeare Institute at the Folger Shakespeare Library, and co-hosted the Q & A of their broadcast event The Wonder of Will Live in fall 2016. MacKay received a research fellowship from Indiana University’s Institute for Digital Arts and Humanities for a research project titled “Sea Spectacles: A History of Vicariousness from Nero to Google Glass,” which she began working on as a Mellon Postdoctoral Fellow at the Cornell University Society for the Humanities. Her other books in progress are “Unthinking the Early Modern Audience” and “Shakespeare Realia and the Museology of Missing Objects.” She received a PhD, M. Phil, and MA in theater and English from Columbia University and a graduate certificate from Columbia’s Institute for Research on Women and Gender. Her BA is from Barnard College, where she majored in theater. Professor Josephine McDonagh, English Language and Literature, comes to UChicago from King’s College London, where she was chair of nineteenth-century literature. She previously held a chair in Victorian literature at Linacre College, University of Oxford; and faculty positions in English at Birkbeck College, University of London (in Romantic and Victorian culture); and the University of Exeter, where she codirected the Centre for Women’s Studies. Her publications include the monographs Child Murder and British Culture, 1720–1900 (Cambridge University Press, 2003), George Eliot (Northcote House Press/British Council, 1997), and De Quincey's Disciplines (Clarendon Press, 1994), the coedited volumes Commodities and Culture in the Colonial World (Routledge, 2017), Nineteenth-Century Radical Traditions (Palgrave Macmillan, 2016), Charles Dickens and the French Revolution (Palgrave Macmillan, 2009), Encounters: Transactions between Science and Culture in the Nineteenth Century (Manchester University Press, 2002), and Political Gender: Texts and Contexts (Prentice Hall, 1994), a coedited special edition of the journal Interdisciplinary Studies in the Long Nineteenth Century on “Literature and the Press, 1800/1900” (2006), and a critical edition of Anne Brontë’s The Tenant of Wildfell Hall, which she annotated and supplied with an introduction (Oxford University Press, World’s Classics, 2008). Her next project is “Literature in a Time of Migration: Print, Population, and British Fiction in the Nineteenth Century,” which explores the ways in which literature both responded to and helped to shape a transcontinental migratory culture at a time of mass emigration from Britain. Professor Sianne Ngai, English Language and Literature, is a feminist cultural theorist whose work delves into the social and philosophical meanings of ordinary aesthetic categories. Her widely translated first book, Ugly Feelings (Harvard University Press, 2005), focuses on “non-cathartic” emotions like irritation and their association with inaction in the literature of the twentieth century. Her second, Our Aesthetic Categories: Zany, Cute, Interesting (Harvard University Press, 2012), received the Modern Language Association’s James Russell Lowell Prize for an outstanding literary study as well as the Ray and Pat Browne Award for Best Primary Source Work from the Popular Culture Association/American Culture Association. In it, she attempts to answer the question of why potentially dismissive descriptors like “zany,” “cute,” and “interesting” are so prevalent in contemporary discussions of aesthetics, from high art to mass media. Her next book, “Theory of the Gimmick,” will address the discomfort prompted by “gimmicky” media (fiction, poetry, visual art, reality television) that audiences perceive to be cheap or belabored, contrasting these with other instances in which art is celebrated for accentuating its methods of production. The manuscript shares a title with an essay she wrote for Critical Inquiry’s “Comedy” issue (2017), for which she coauthored the introduction, “Comedy Has Issues,” with English Department colleague Lauren Berlant. She has also published extensively in journals, anthologies, and collected editions, and been interviewed about her work for print and radio. In addition to her recent book awards, Ngai received an honorary PhD from the University of Copenhagen–Denmark and a fellowship at the Wissenschaftskolleg zu Berlin (Institute for Advanced Study), an appointment in the Cornell University School of Criticism and Theory, a Charles Ryskamp Fellowship from the American Council of Learned Societies, a Barbara Thom Postdoctoral Fellowship at the Huntington Library, a Charlotte Newcombe Fellowship from the Woodrow Wilson National Fellowship Foundation, and several other honors. She did her undergraduate studies at Brown University, where she triple majored in semiotics, English literature, and history of art and architecture. Her PhD is from Harvard University. Before coming to UChicago, she was on the faculty of Stanford University and the University of California, Los Angeles.